Aliya is the first Chabad House in the world that was set up to do Inreach instead of Outreach! Established in 2003, A.L.I.Y.A. (Alternative Learning Institute for Young Adults) has been committed to serving spiritual, physical, educational, emotional and vocational needs of young adults in the Brooklyn Jewish community. In 2006, the board of A.L.I.Y.A. successfully found a permanent location on E New York Ave which enabled A.L.I.Y.A. To consolidate its activities into one central location and provide a local ‘round the clock’ center for young adults. Since its purchase, the building has undergone extensive construction in order to better facilitate all of its programs. 1) Spirituality: growing up in a tight-knit religious community religion plays a very large role in day to day life. Many young adults in these communities have become isolated and don't fit in the mainstream religious structure. Aliya has created a warm welcoming and user-friendly approach to traditional shabbos and yomtov services as well as personalized learning that make everyone feel their place and sense of belonging. 3) Employment: many young men walk through our doors and are in desperate need of employment to help them cover their day to day expenses. 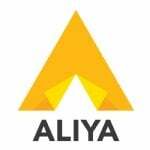 Aliya has a network of local businesses that are constantly looking to hire and they call us first. We also help our young members that are looking for some startup capital or business advice with local entrepreneurs. 4) Coaching: most of Aliya's Rabbis are trained life coaches which give them the expertise to assist and support its young members when they walk through its doors. They are also connected to a network of drug addiction counselors, local NA and AA meetings, as well as psychotherapists when needed. Aliya also has regular group therapy as well as one on one therapy upon request all free of charge. 5) Recreation: recreational activities play a very large role in the overall well-being and growth of young adults. The Aliya center has a full workout gym which is available to its members to help them stay healthy. Aliya also has a music studio which is used for open session jamming as well as music classes to help bring out their natural talents for music. Aliya also takes its members on biannual shabbatons and trips. Summer time consists of spending shabbos at a scenic location followed by fun and nature on Sunday. The winter shabbaton includes a Sunday ski trip. We successfully serviced hundreds of young adults, many at risk, in our community and have touched thousands since our creation. We make 10-20 weddings every year, line up hundreds of jobs and save countless lives! We have made hundreds of weddings, sent many into rehab and therapy. Some of our graduates are shluchim today. Others are our supporters. We don't just save lives, we make them!